Through Their Networking at Recent Tradeshows, Tungsten World Extends Further Out to More Jewelry Markets Not Yet Aware of the Benefits of Durable Tungsten Rings. 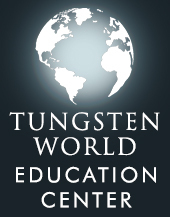 Tungsten World, the industry leader in retail sales of designer tungsten wedding bands and fine tungsten jewelry, has spent the summer not only providing superior service to their large customer base, but has also partnered with companies like the California Jewelers Association, Reseller Ratings and fashion jewelry blogs to bring their product to an even wider audience. Through their attendance at many networking and industry tradeshows this summer, Tungsten World is proud to be expanding their line of Tungsten wedding bands and Tungsten rings into markets considered more “fashion” or “jewelry” centered. Using customer reviews, featured blog articles and joint advertising opportunities, Tungsten World has found ways to make mutual beneficial relationships with their new partners. These new relationships will spread the word of Tungsten World’s quality tungsten wedding bands by Tungsten Forever to previously untapped jewelry markets, further pushing Tungsten World to the forefront as the preeminent provider of all things Tungsten. Among the recent partnerships, including working with the California Jeweler Association and fashion blogs throughout the internet, Tungsten World is proud to be working with many other like minded companies. With hundreds of 5 star customer generated Tungsten World reviews already in just a few short months, it is Tungsten World’s hope the reviews will not only help their own communication with customers, but also assist those potential customers in search of the highest quality tungsten wedding bands with the industry’s most extensive warranties.